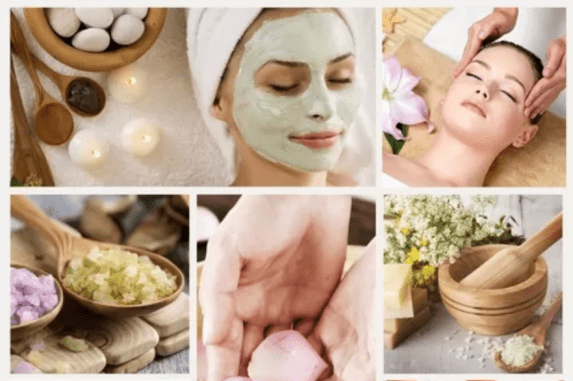 We all want our skin to be glowing, blemish-free and gorgeous for our wedding day.But getting this dream skin is only possible if we take a proper care of our skin, at least, a month before the big day. This is the foremost essential skin care tips for a bride.You must cleanse your skin two times in a day to get rid of dirt, makeup and other toxic elements from your skin.Always remember to wash your face with lukewarm water before using any cleanser. 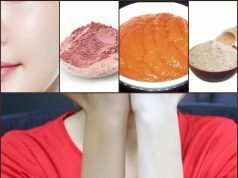 This helps to unclog pores and prevent skin problems such as acne or pimples.Look for cleansers that are geared towards your skin type.Use cleansers that are gentle on the skin and that does not upset the ph balance of the skin.Here are some simple natural face cleansers that you can try for a smoother and glowing skin. This cleanser is suitable for oily, acne-prone and normal skin types.Combine 2 tsp of honey with 1 tsp of lemon juice.Wet your face with lukewarm water and then massage this cleanser on your face for 2 to 3 minutes and then wash off with cool water.This cleanser leaves your skin oil-free, spotless, bright and clear. An ideal cleanser for dry and super sensitive skin.This moisturizing formula removes dirt and makeup without stripping away the essential moisture from the skin.It leaves skin soft and radiant.Combine 2 tsp of honey with 1 tsp of olive oil.Wet your face with lukewarm water and then massage this cleanser on your face for 2 to 3 minutes and then wash off with cool water. Another very important skin care tip for the bride is to keep your skin moist at all times.Moisturization helps reveal a dewy, glowing, soft and youthful skin.Combine a small amount of aloe vera gel with cold pressed coconut oil and use it right after a shower over the entire body to maintain skin’s maximum moisture factor and for a super-nourished, radiant skin. For the face use moisturizers that are designed to cater your skin needs.No matter what skin type you have, you need to moisturize twice in a day.If you have an oily skin, then mix a few drops of rose water to your face moisturizer and apply.The goal here is to add water-based hydration to your skin.If you have a dry or sensitive skin then you need both oil and water-based hydration. Simply mix a few drops of rose water and vitamin e oil to your face moisturizer and use for a brightening effect. Dark circles, crows feet, puffiness can spoil your look as well as your wedding pics.If you are suffering from any of these issues you need to fix it before the big day arrives.Look for eye creams that contain a combination of both brightening and moisturizing agents.The correct time to apply any eye cream is a few minutes before bedtime. Here is an effective DIY eye cream recipe to banish those stubborn dark circles, crows feet in a week and reveal sparkling eyes. Combine all these ingredients together and store it in an airtight container.Keep this in the refrigerator and apply chilled for maximum results. A bride needs to look beautiful from head to toe.You don’t want to walk down the aisle with dry, rough, cracked heels.Give yourself a relaxing and rejuvenating pedicure at home once a week. 1.Fill a bowl with warm water and pour a dollop of your favorite body wash.Let your feet soak for about 10 minutes. 2.Take 2 tablespoons of fine salt mix some coconut oil and exfoliate your feet for 2 minutes.Wash off with warm water. 3.Finally, rub some moisturizer or petroleum jelly. 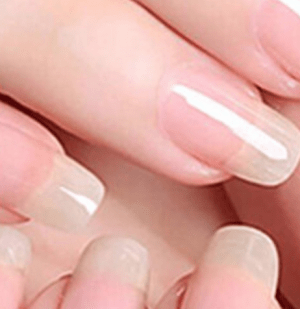 Nails are your best accessories.Strong and healthy nails enhance the beauty of your hands.Care of your nails and cuticles are equally important as any other body part.Mix equal parts of olive oil and sweet almond oil and apply this every night before bedtime to give your nails an overnight nourishing treatment.This makes your nails stronger and softens your cuticles. Having a dry, discoloured lips can make your lipstick application look uneven and patchy.To keep your precious lips soft, smooth and plump you need to take proper care of your lips. 2.Every night before going to bed, rub some warm ghee mix with a few drops of olive oil and a pinch of turmeric.This removes the discoloured patches and reveals soft pink lips. Your smile is the most beautiful thing you will wear on your wedding day.A pearly white smile brightens up your face and boosts your confidence.To reveal a set of sparkling white teeth, brush your teeth with a solution of baking soda and freshly squeezed lemon juice.Brush it on your teeth for 1 minute and then rinse off.Follow this twice in a week for maximum results. If your wedding outfit is sleeveless then make sure to get rid of the dark patch under your arms.Twice in a week exfoliate your underarm with a tbsp of salt and coconut oil.Apply a paste of cold cucumber juice and turmeric to the underarm skin.Do this 10 minutes before taking a bath.Always remember to moisturize your underarm skin after a bath to maintain the smoothness and softness of the underarm skin. Exfoliation is another very important part of a bridal skin care routine.It removes the dead skin cell and reveals a more flawless smooth look. 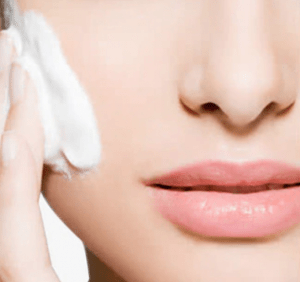 Face: Just mix a tiny amount of baking soda to your moisturizer and using a soft sponge exfoliate your face for 2 minutes.Wash off with cool water.This homemade Microdermabrasion treatment removes dead skin cells and refines pores. Body: Rinse your body with lukewarm water.Mix some fine sugar with your shower gel and gentle massage in a circular motion using a loofah for 2 to 3 minutes.Sugar exfoliates and moisturizes your body for a more toned, silky and smoother skin. To get a clear, healthy and gorgeous bridal glow for the big day, it is a must to pamper your skin once in a week with a fruit facial. 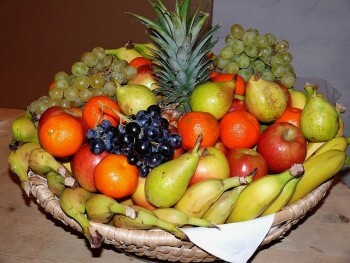 For making fruit mask/pack or scrubs choose fruits such as banana, papaya, grapes, apple, strawberry, orange, and pineapple.These fruits are an excellent source of vitamin C and antioxidants.If you have a dry or sensitive skin, then use banana, apple or papaya.If you have a normal or oily skin then use strawberry, orange, grapes or pineapple. Here are a few fruit pack recipes for each skin types. 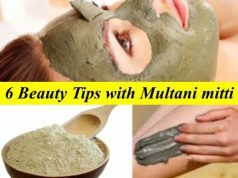 Dry Skin – Blend few ripe papaya and banana slices by adding a little cold milk.Apply a thick paste on face and neck.After 20 minutes wash off with cool water and rub an ice cube. Sensitive Skin – Just apply a thick paste of ripe papaya, honey and cold milk on the face and neck.Wash off with cool water for a glowing skin. Oily Skin – Blend few strawberries with orange juice, chilled curd, and honey until smooth.Spread evenly on face and neck.After 20 minutes rinse with cool water. 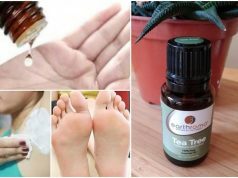 Previous article6 beauty tips with Tea Tree Oil for summer! Amazing and very useful.I love yr all article .yr under eye cream very useful for me .thanks for all!